Everyone prays. As God is all present, even knowing our thoughts, (Matthew 12:25) one way or another, everyone will communicate to God, weather it is your thoughts, desires, love or hatred. 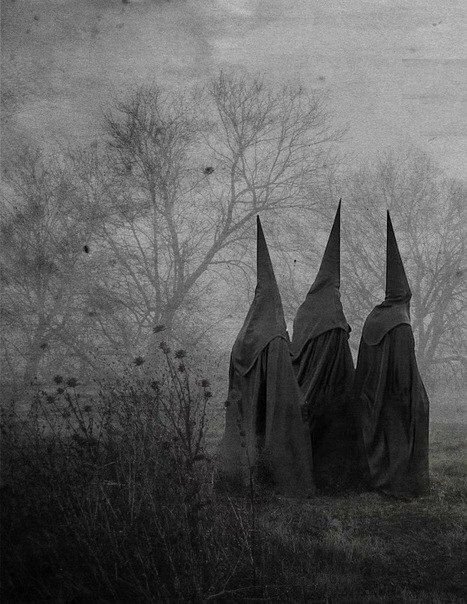 Even the witches and warlocks pray, even though it is to a demon. Anyone, and I mean anyone who does an incantation or a spell with the intention of harm to someone else or for a benefit is seeking access from the fallen side of the eternal realm. This is dangerous and may lead to demonic obsession or worse. The demons CANNOT read your mind, but with their angelic intelligence, they can make an excellent guess. Be careful what you say about someone, if it is negative or cursing, you could attract something you don't want around. Demons do study us and at times it can appear that they can read minds, but they cannot. 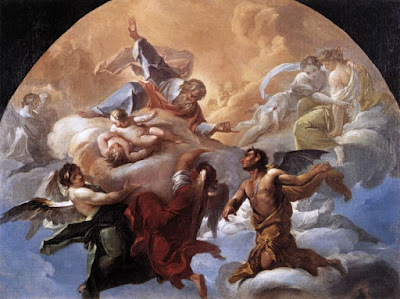 Even though they are fallen angels, they still have their intelligence and rank - what changed was their permanent position with God and their task for which they were created. 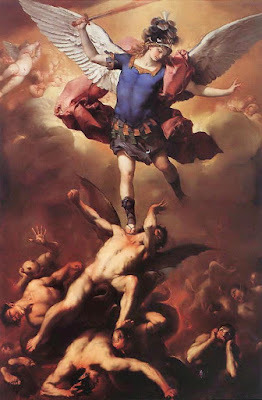 Example: An angel created to inspire peace in human beings would then try to cause strife and division in his permanent fallen state. 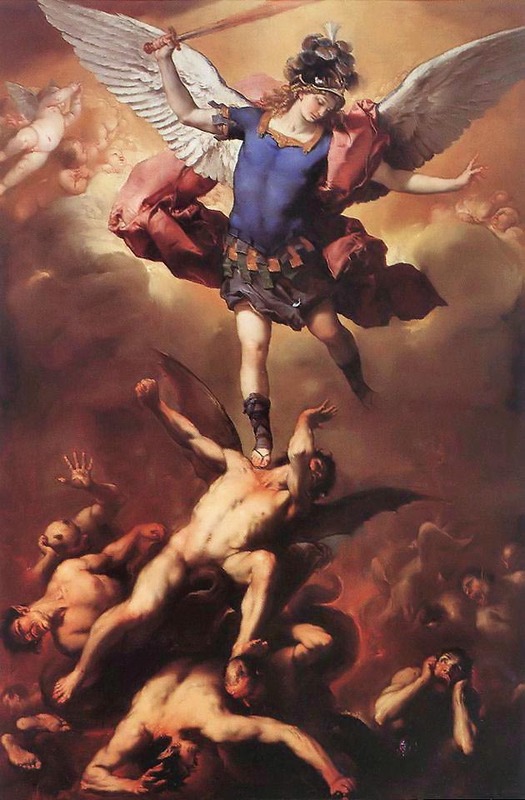 The good news is this angel only has a short time to do his evil work on the earth. While he seeks to wreak havoc on the earth, we, the ones in a state of grace in full communion with the Catholic Church, are those who are chosen to fight them. Know that the demons are very legalistic. They know the scriptures better then you do and their aim is for you to break God's word so that at your judgement they have a shot of dragging you to hell. Demon's love Ghost hunters with their 'e.v.p. 'sessions because these misguided paranormal investigators talking to spirits are destined to love God yet are speaking to demons, putting themselves in the territory of the demonic. This is what they use for you to fall. Study it, know the word of God. The word of God is one of the armors given by God to keep you on the right path. 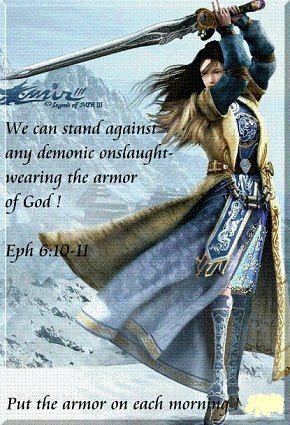 We as Christians have many weapons that we can use in prayer to both armor ourselves and to fight for others. 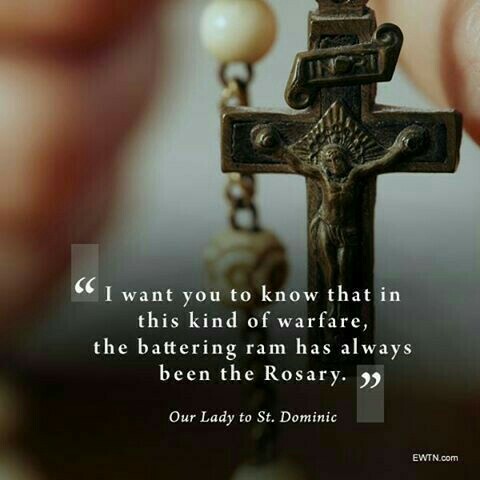 The Rosary is a great weapon of prayer. 1. 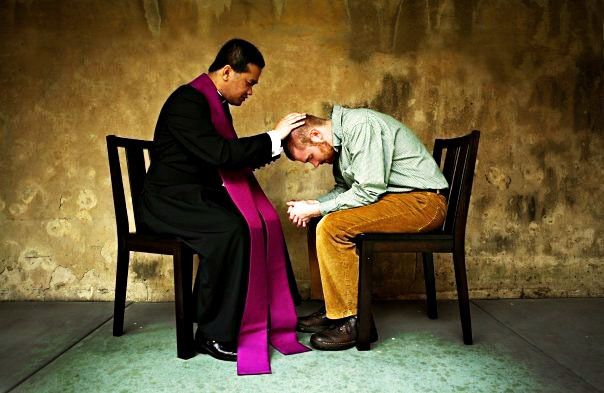 We can pray silently and the evil one cannot know our thoughts, these prayers are direct to God. 3. We can place images of holy things before our eyes and keep demonic influences at bay. You see we are in eternity right now although we cannot perceive it. 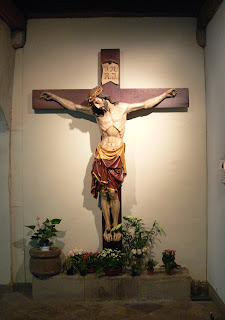 When we view something Holy to God (crucifix, etc) while we pray we are accessing the eternal truth that the Holy Crucifix contains that is eternal and not bound by time, without doing idol worship for we know that the carved or created image is not God himself, but an access to the truth contained within the witness of the Cross. to make WAR on the earth.